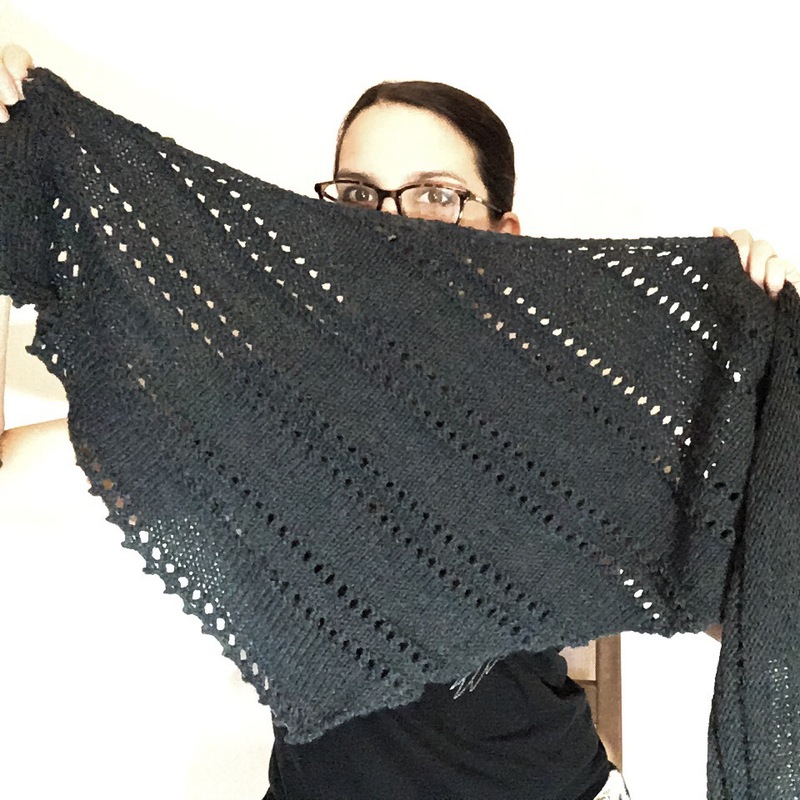 Or a story of what to do when a pattern doesn’t quite suit you but you’re obsessed with it! So… yeah. 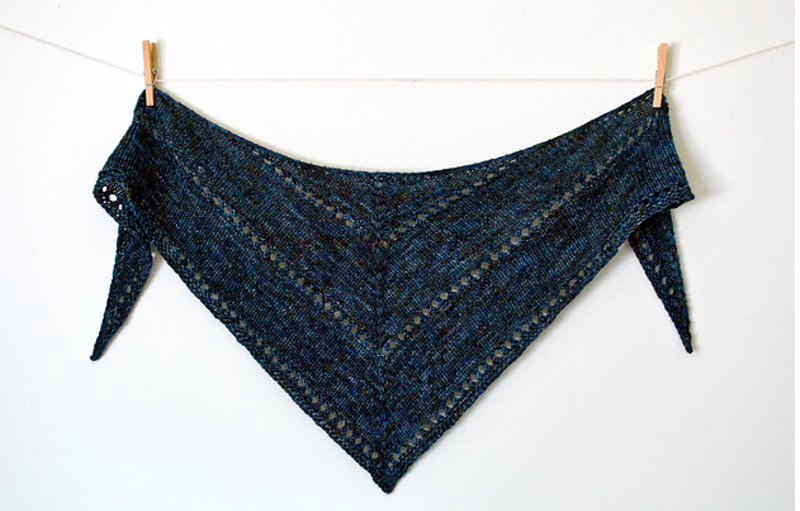 The pattern in question is the Age of Brass and Steam kerchief which is free on Ravelry! Because it’s free I am going to completely share the cogs and wheels of how I made and adjusted the pattern to make my own scarf (see what I did there… Steam… brass… ahem, sorry). I’m sure the creators of the kerchief (Orange Flower Yarn) won’t mind. 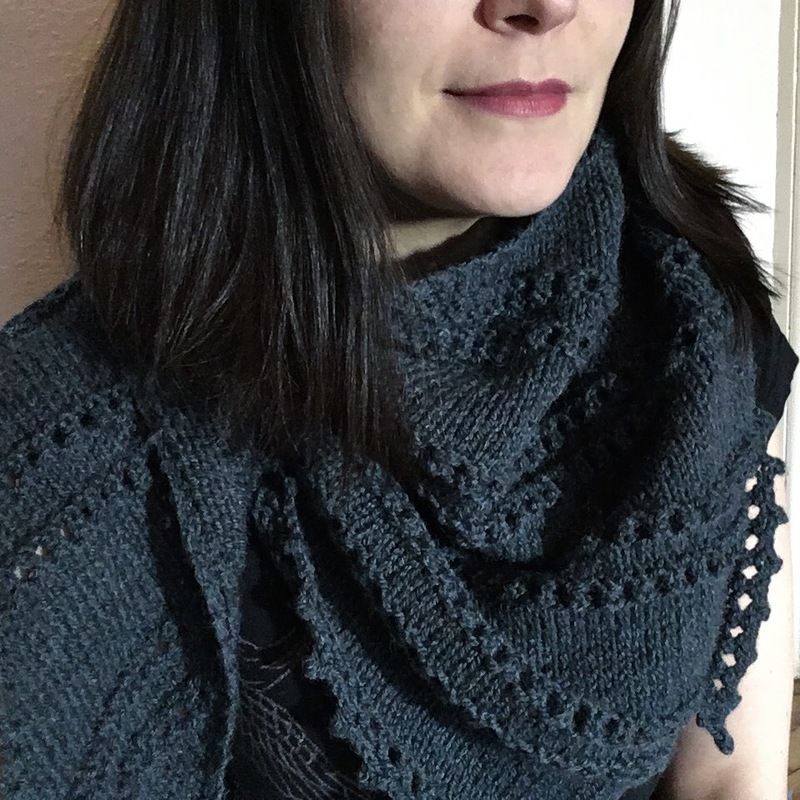 It’s a great pattern too, because it’s built up in sections you can make it as big or small as you want… and I guess in whatever yarn takes your fancy. It suits variegated and block colours equally and is a great tv project as it’s so easy to memorise. Another 4 rows of the stockinette section, then another eyelet bit… keep going until you think it’s big enough. It should look like so. The last (freaking long) row I did just one eyelet section because of lack of yarn, then a picot cast off for fanciness. Then just block the merry hell out of it! Like I said… this beast is huge! 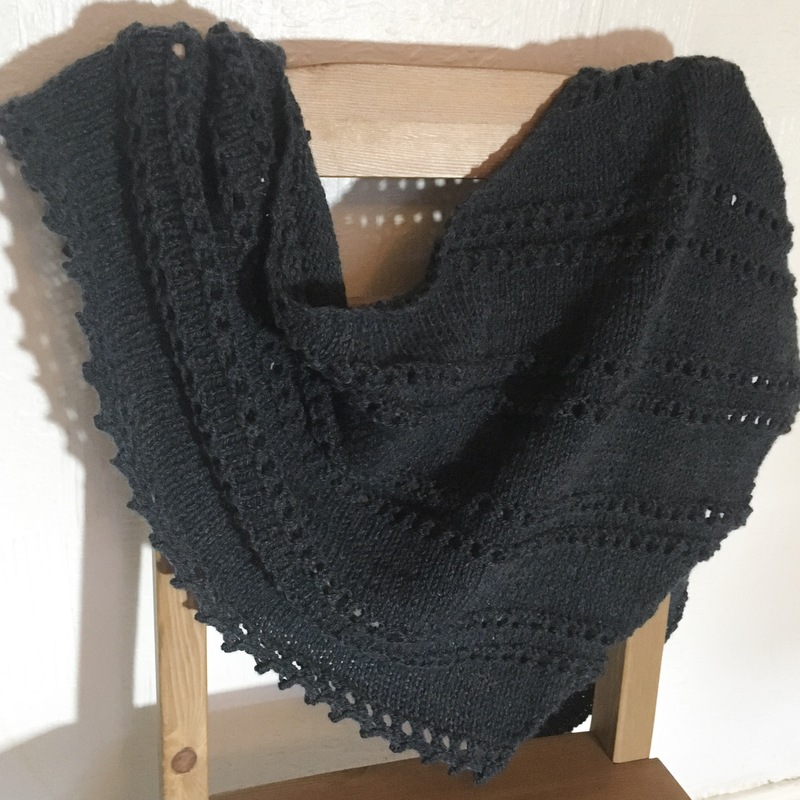 It’s perfect for the chilly weather going on right now, but like the original pattern it would probably work well in a DK or a 4ply for spring or autumn. I’m planning on a matching bobble hat, I do have another skein of this stuff so it seems obvious to do it. 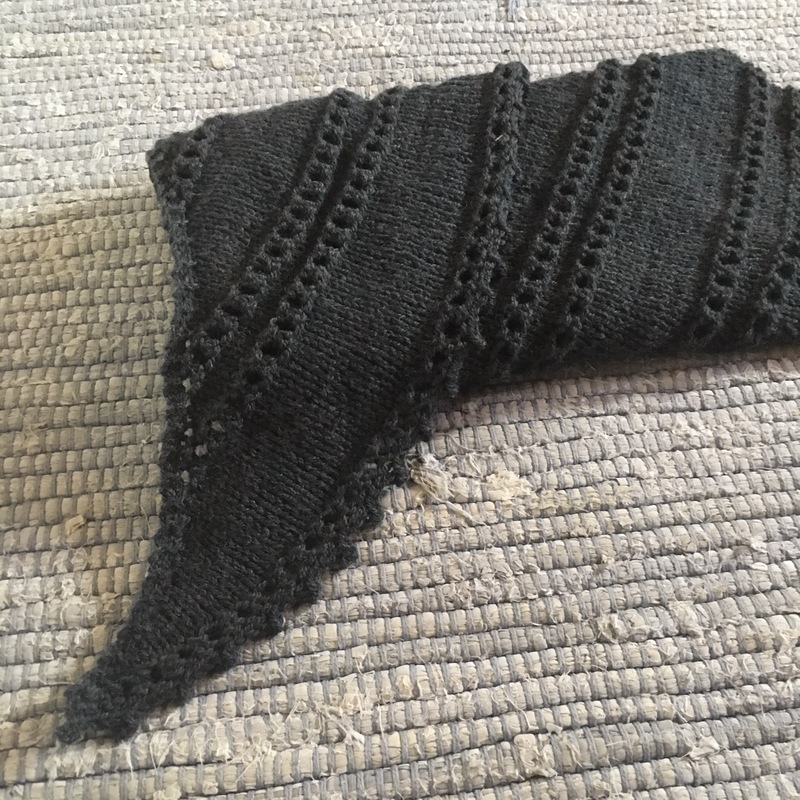 This is a really wonderful thing about knitting… you can tweak a pattern or you can take something you like from one and make it into what suits you. And for my final picture I not only give you a giant scarf and goofy smile… but I also managed poofy hair… oh yes! All hail the poofy hair! Love it! I’m just finishing a 1940s jumper that has taken me well over a year. This could be my next project! I’ve only just picked up your reply – sorry. I have finished the jumper and washed it very gently. 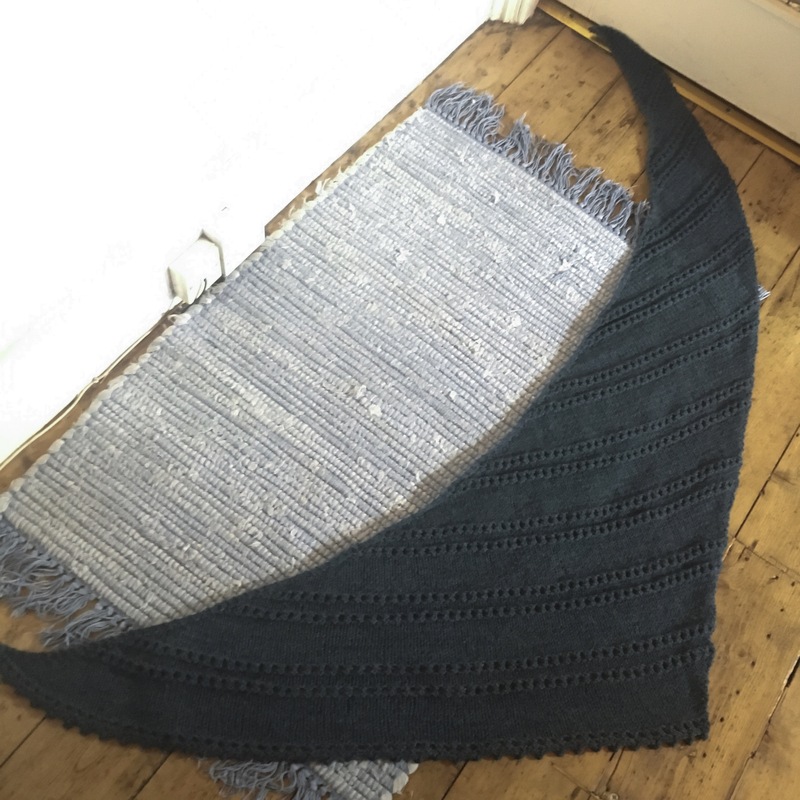 Now it is flat out on a towel on the floor – and looks enormous. Might be destined for a needy male relative!